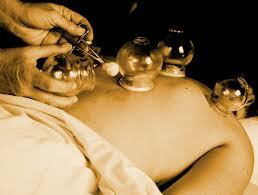 Because Chinese medicine approaches each patient in a unique and holistic way, multiple treatment modalities may be necessary depending on your presenting condition at any given time. 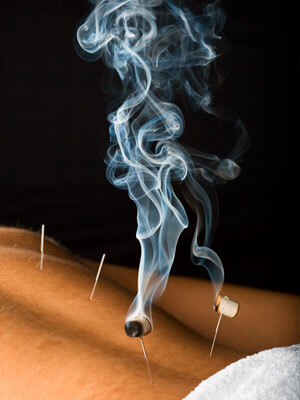 In addition to acupuncture, nutritional supplements and herbs, I may use moxibustion (the burning of herbs near the skin's surface), gua sha (the scraping of the skin to improve circulation, eliminate stasis and relieve pain), and fire cupping (placing glass cups on the skin with a vacuum to relieve stagnation and increase circulation). All of these techniques have been used for thousands of years and continue to be safe and effective additions to treatment. Our initial consultation and treatment session will last about an hour and a half ($120); follow-up treatments are approximately one hour ($80). Herbs and supplements vary in price. Payment in the form of cash, check or credit card is expected at the time of treatment. While I do not accept insurance, I will provide you with the documentation necessary for you to submit for reimbursement through your insurance company. 24-hour notice is expected for cancellation or changes made in appointments. It is important not to come to your treatment on an empty stomach. It is helpful if you wear loose-fitting clothes, although I have drapes and gowns as well. Some people like to clear their schedules after treatment so they can continue to relax, although there is no reason that you cannot continue normal daily activity after treatment. I often encourage a warm cooked meal, a warm bath and an early bedtime after acupuncture - not unpleasant advice to follow! A master teacher once told me I should never care about a patient's health more than the patient does. The relationship between acupuncturist and patient should be a cooperative one, and therefore the patient should be willing to actively engage in her own healing. I offer dietary and lifestyle counseling, as well as self-care techniques and qi gong exercises for specific conditions, and encourage patients to participate in and contribute to their own wellness.